Maybe not. There is quite a bit of research and anecdotal evidence to show that eyewitness testimony can be unreliable. Now New Jersey is in the frontline of making sure a jury is aware of the potential problems with eyewitness testimony. To quote the ABA Journal. New jury instructions in New Jersey will warn that human memory is not foolproof and eyewitness testimony must be carefully scrutinized. Set to take effect on Sept. 4, the new instructions follow a landmark ruling last year by the New Jersey Supreme Court that makes it easier for defendants to challenge the reliability of eyewitness identifications, the New York Times reports. The decision also required juries to be instructed on the variables that could lead to mistaken identifications. I posted yesterday on a new Army case dealing with instructions on an affirmative defense in a court-martial under the UCMJ. Today I’m posting on United States v. Ramon, an unpublished opinion from the NMCCA dated 28 September 2010. In his sole assignment of error, the appellant alleges that the military judges erred in failing to instruct the members as to mistake of fact as to consent. The appellant raised eight errors through counsel and an additional six in accordance with United States v. Grostefon. One assignment of error warrants discussion, but no relief. Specifically, appellant alleges that the military judge erred by failing to properly instruct the panel regarding appellant’s right during mutual combat to exercise self-defense when the force used against him escalated. Today we find that any error by the military judge was harmless beyond a reasonable doubt and affirm the findings and sentence. In the United States v. Jones the facts cited by the court show a consent defense. However the defense counsel did not request an instruction on the affirmative defense and the military judge did not give one. There being no evidence of an affirmative waiver the findings and sentence were set aside. (C.A.A.F. 2002). 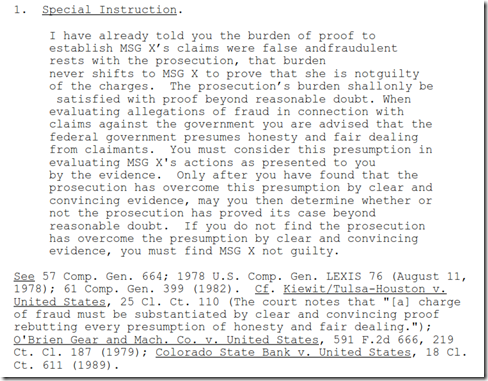 Failure by the defense counsel to request the instruction does not waive the error. United States v. Brown, 43 M.J. 187, 189 (C.A.A.F. 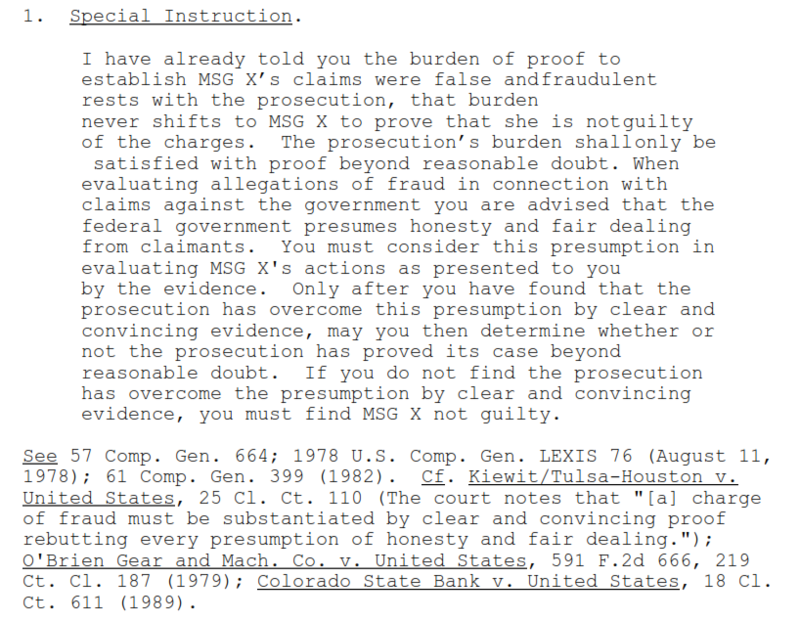 1995)(citing United States v. Taylor, 26 M.J. 127, 129 (C.M.A. 1988). Failure by the military judge to instruct on an affirmative defense presents a constitutional error which must be tested for prejudice. For such an error to be deemed harmless beyond a reasonable doubt, the Government must prove that the members would have reached the same verdict absent the error. Neder v. United States, 527 U.S. 1, 19 (1999). We agree with the appellant that the affirmative defense of consent was reasonably raised by the appellant’s sworn testimony. As noted above, the appellant posited a scenario in which the purported victim, Cpl B, was an unambiguously willing participant in the sexual contact alleged, ostensibly even the instigator and aggressor. Here are the military justice related articles in the new Army Lawyer. CAAF has decided two cases related to Abu Ghraib: United States v. Harman, and United States v. Smith. The issue in Harman was factual sufficiency and the conviction and sentence was affirmed. Jury instructions are too often so poorly written that even the most intelligent juror cannot understand them. That’s a serious problem. So how can we make jury instructions more understandable? Prof. Peter Tiersma offers many concrete suggestions in this article, available for free download on SSRN. If you’re a trial judge or trial lawyer, you need to read it. From the (new) legal writer blog. Instructions given in a court-martial prosecution under the UCMJ can at times be confusing. Certainly the current practice in a court-martial of reading the instructions and then giving a written copy does help somewhat to alleviate potential issues from reading only. Here I’m talking about limiting instructions at court-martial, not alleged curative instructions. A limiting instruction is appropriate where evidence is admissible for one or more purposes, but is also inadmissible for one or more purposes. Here is a reminder from federalevidence blog of how that works.